2016 has been a remarkable year for Freemasonry. Not only have we seen the installation of our new Grand Master, MW Bro Mark Winger but we have witnessed a number of "firsts". 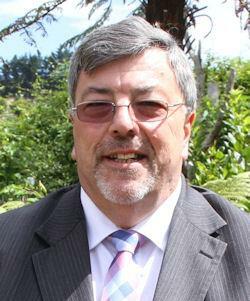 The the first time in several decades more than 12% of Lodges in New Zealand recorded a net increase in membership. For the first time in several decades one of our Districts also recorded a net increase in their numbers. Our new Grand Master is a "man on a mission". 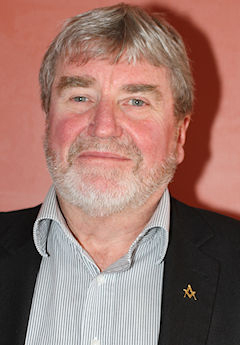 He has put a stake in the ground and said that if our organisation is to grow and flourish then we need to "speak up" about Freemasonry to other people; and that he will lead that charge from the front. For the first time in a while now we have a blueprint for growth - a recipe to speak openly about our good deeds and why we love being a Freemason. I asked several of our leaders to share their thoughts with me on what they believe the next 3 years holds for Freemasonry in New Zealand. They each spoke candidly of their visisions. I hope you enjoy this year's edition of "p:roud to be a Freemasonry". For the record... I have never felt more proud to be a Freemason. 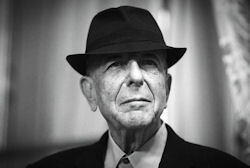 About the song... you may be wondering why I chose the late Leonard Cohen's song, Hallelujah to accompany this newsletter. Cohen remarked that `Hallelujah' is a Hebrew word meaning "Glory to the Lord." Through the song, he was able to demonstrate that there are many kinds of Hallelujahs in existence. "All the perfect and broken Hallelujahs have an equal value," Cohen said, "It's a desire to affirm my faith in life, not in some formal religious way but with enthusiasm, with emotion." That is how I feel about Freemasonry. If you are proud to be a Freemason - shout it from the rooftops and tell all of your friends. If you are not - get out of the way. By the time you've read our leaders' visions for the future for Freemasonry, you will (hopefully) be left in no doubt that the groundwork has been laid for a vibrant and successful future for Freemasonry in New Zealand. Despite the almost heroic efforts of our leaders - the future of the Craft doesn't sit with the Grand Master, or the President of the Board, or with the Grand Lodge of New Zealand - it sits with YOU!. Unless YOU choose to be the defining point of difference that will inspire two or three good men to join the Craft in 2017 our numbers will continue to dwindle, and in a few years we will cease to exist. Your leaders have prepared the stage - now it's your turn. Talk to a man you admire about what it means to you to be a Freemason. In the words of famous Freemason, Sir Winston Churchill "if you have knowledge, let others light their candle by it..."
Are you proud to be a Freemason? Do you want to mix with like minded people who are also proud of their involvement in Freemasonry? Then book your place at the "Proud to be a Freemason" celebration luncheon. Tania has kindly agreed to open up our home in Paremata for what has now become an annual event. The cost is $15.00 per person and this includes the meal and refreshments (including non-alcoholic refreshments). The numbers are strictly limited to 60. We are delighted to announce that the Grand Master, MW Bro Mark Winger, Deputy Grand Master, Graham Wrigley and Board President Peter Benstead will all be in attendance. Book your place by clicking on the button below and completing the form. Numbers are strictly limited to 60. Further details will be emailed to you closer to the event. 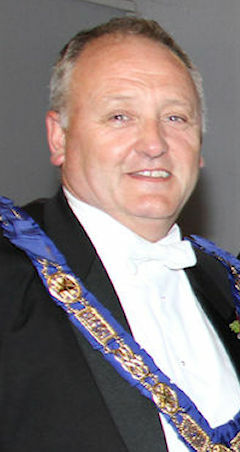 As President of the Board of General Purposes I see the next three years as being pivotal to putting Freemasonry in New Zealand on a stable footing and establishing a clear path for growth. All the good work that has been completed by the Strategic Pillars now needs to be put into action. To do this we all need to become involved, individual Freemasons, partners, Lodges, Districts, Divisions, Grand Lodge - we all have a role to play. Key areas of focus will remain Membership, Communications and Finances. In the area of membership, we need to remember that both acquisition and retention are equally as important. Freemasonry will mean different things to different people, and what an individual gets out of Freemasonry is also personal. For me it was the base values of Freemasonry that attracted me to the Craft. I still believe heavily in them, but the greatest enjoyment I get now is the camaraderie that the fellowship brings - both in the Lodge and afterwards at the festive board and social functions. Good clear communication will be even more crucial in the coming years. We are in a period of change and change can be unsettling to some. Your Board and management team are fully aware of this and will ensure that good lines of communication are in place to get us through this. Finance is a challenge for us. With a reducing membership we need to ensure costs are controlled and expenditure is prioritised on activities that provide the greatest gains for Freemasonry. Opportunities for additional revenue (other than just increasing capitation), also need to be explored and when identified - put into action. 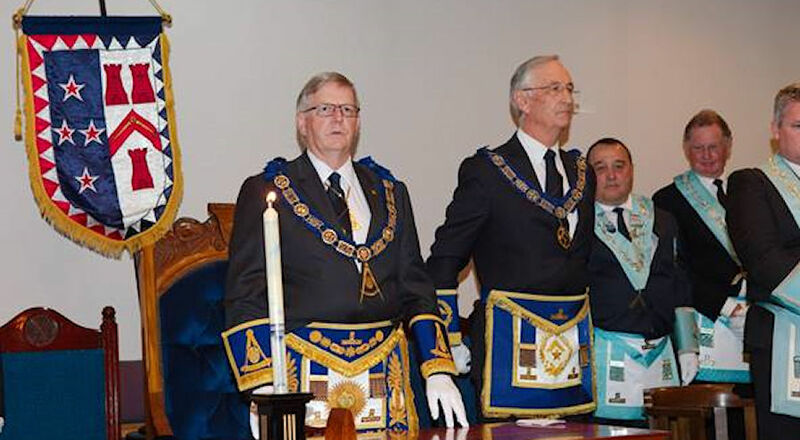 I am really excited about the prospects for Freemasonry New Zealand. I believe we are at a turning point and that our organisation is probably more relevant today than it has ever been. Freemasonry is a large part of what my 'family' does, my father-in-law (who introduced me to Freemasonry), was a Freemason (U.G.L.E. ), my son-in-law is also in the Craft. I look forward to this involvement continuing in our family. We are entering an exciting period for Freemasonry in New Zealand as the foundations of the past 6 years are successfully built upon. We have been given a clear mandate by the Grand Master to “Speak up for Freemasonry” and to tell the world what a wonderful organisation Freemasonry is. Most significantly our new leaders have been well prepared and are ready for the challenges they will face as they lead us into the future. We are now placed at the start of our road to the future. Each individual Lodge and each individual member must travel it in their own way. Like all roads this one will have obstacles, delays and distractions, many intersections, roundabouts and even dead ends. Some of the travellers will get lost, some will turn back, and some will stop wandering and regrettably some may not even take the first step but for most it will be a journey that will deliver many great and wonderful rewards, numerous surprises, and be worth the cost and effort involved. What the destination will look like is up to the path chosen by the travellers - the Lodges and their members. Only they can make the journey. We are now at the start of the right path but each and every one of us must choose to walk it and decide where it is to lead. A bright bold future is just over the next hill and around the corner, it will be fun getting there, and rewarding and satisfying to arrive. We have just completed the 2016 Grand Installation of our new Grand Master and I was reflecting back on the 2013 Grand Installation. Just after that was completed the Board asked me to put together a proposal to manage this year’s (2016) event. Obviously I looked at our falling numbers, considered the age of the brethren and then where I thought we would be in 2016 and built my proposal round those numbers. I predicted that numbers would fall from 530 to around 400 attendees and that there would be a reduction on those attending from Australia. How wrong I was, numbers were greater than expected and we finally ended up with only 20 less registering from within NZ and with the same number from Australia. So I started thinking about why? What makes brethren continue to come to the Grand Installation against the trend of our membership? Well, we have made certain that the ceremony has lost none of its lustre but we have kept it short, relevant and enjoyable, so not a bore. We planned the ladies function especially for them and we made it fun, and we made sure the functions were enjoyable with good food, good service and with entertainment that complimented the function, not dominated it - what we did was to provide an environment which enabled us to enjoy good fellowship! The transition of the “operative” masons’ lodges to “speculative” masons lodges was the simple desire to maintain the comradery that the lodge provided, it was not about money, status, rank or ceremony, it was simply about enjoying the company of likeminded men - fellowship. The height of our membership was the periods following the two World Wars. Men joined so as to be with men who had shared similar experiences - fellowship. So what does the next three years in Freemasonry hold for us in the Central Division, it is simple - Fun and Fellowship. Like the weather forecast, where you have a greater than 70% chance of being correct if you say tomorrow will be like today, so you have it with Freemasonry. Tomorrow will be similar to today. In other words no change - the numbers will continue their downward trend as the Craft heads to extinction. Henry Ford is reported as saying “If you always do what you’ve always done, you’ll always get what you’ve always got.” Therefore we should have hope that substantial change will come from the Top. I have previously written about some ideas to expand the base of Freemasonry. 1. A scripted format for opening and closing any public meeting - presentation, concert, function etc. be written and observed. This will mean that every masonic gathering will convey that it is Masonic. 2. That a kit be developed for lodges who may have no masonic lodge building to meet in and must use public halls, rooms etc. This will encourage the formation of small country lodges. 4. 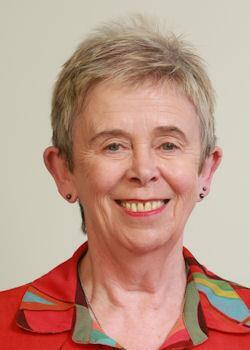 A supreme Scholarship award for NZ out of current funding to be NZ's largest scholarship. However in addition to those, an in depth analysis of all those who have become Freemasons - so reasons why they joined can be identified, and the modern ones acted on. 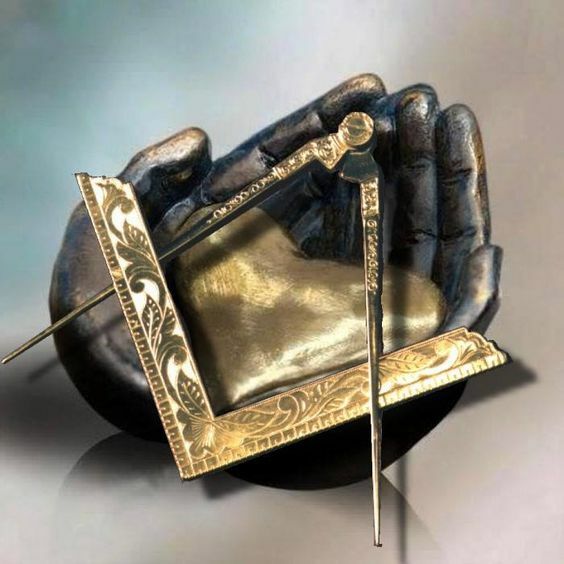 In 2017/2019 period I hope that the Grand Lodge of New Zealand will have the courage to follow the dictates of its own Book of Constitution in holding Grand Lodges it presently recognises to the same standards that it holds its members, namely the Antient Charges of a Freemason. It would make headline news if we withdrew recognition of another Grand Lodge. Habits are quick to learn but slow to change, especially so those lessons and attitudes that have been ingrained in us over the years. They will not change overnight, but let me quote 千里之行，始於足下, by the Chinese philosopher Lao (c 604 bc - c 531 bc), ‘a journey of a thousand miles begins with a single step’. The ”Speak Up For Freemasonry” campaign is designed to encourage each one of us to talk to lay people about Freemasonry, and to do that we need to be able to talk in plain English about what we do, why we do it, and the enjoyment and pleasure we and our families derive from Freemasonry. We have started a journey, heading towards a greater public awareness of our great organisation and the power for good that it does within New Zealand. 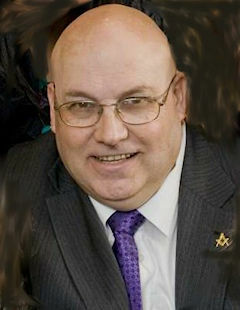 The more we speak to lay people in simple understandable terms about Freemasonry, the greater the public knowledge of our activities and this will inevitably see good men seeking further information about our Masonic Lodges and how they too could be part of the enjoyment and share the pride we have in our magnificent organisation. Effort and perseverance will be required to introduce a change to some of our ingrained habits, but by making a daily advancement, progressively adding another step on our journey, we will individually gain confidence to talk freely about our institution and the value it brings to New Zealand. This will create a positive public profile, attract inquiries, and strengthen Freemasonry so that it remains a force for good throughout society. Our journey might not be completed within three years, but we have a vision, we understand where we are heading, and together we will ensure the public profile of Freemasonry is enriched by the positive contribution made by each one of us. 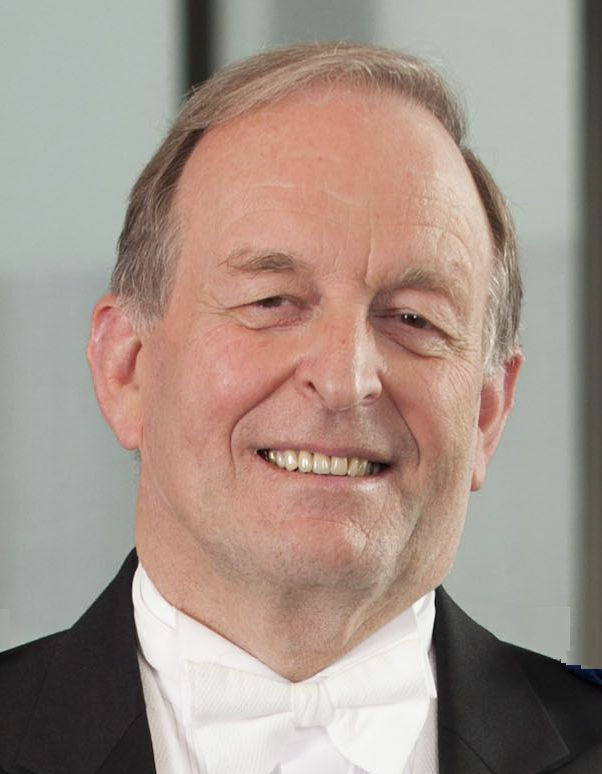 Grand Master - MW Bro Mark Winger - "even the longest journey starts with the first step..."
Every three years, the Freemasons of New Zealand see change. A new Grand Master and a team of Grand Officers at all levels, all starting a journey of adventure and challenges. Normally we don’t like change in our lives, but for us, change is positive as it creates a process of renewed interest, drive and enthusiasm which touches on us at a personal and Lodge level. Over the last three years, I have observed change through positive eyes and have been encouraged to see how effective simple steps can be. I have seen new and invigorating Freemasons, particularly new Brethren coming into Lodges that have not seen new members for some time. That means that the next three years will be building on this foundation with solid engagement and commitment to ensure that what we do is what we tell people we do. Both must be in alignment. I often regretted not becoming a Freemason when I had the opportunity at the age of 21. If I had joined, I would be receiving my 50-year badge during this current three-year term. Did I do the right thing at that time, or would I have been a casualty of the decline that Freemasonry un that period. I don’t have the answer to that, but what I do know is that Freemasonry is just as relevant today as it was in the 60’s. I also know that today, I am very proud to be a Freemason and proud to be a part of a fraternity that is so different to anything else that I could have done, that I know I am in the right place at the right time. There must be many more like me, just waiting to know more about Freemasonry. I will be speaking up about this for the next three years and beyond. As I attended the display stand for The Freemasons Charity over the Grand Installation weekend I had ample opportunity to observe the crowd as they moved back and forth. First of all, I was proud of them all for coming (and in a lot of cases bringing their ladies) to the event less than a week after the Wellington area had been badly shaken by the biggest earthquake to hit the city in 100 years. There were younger faces in the crowd, everyone participated. There was something in the air - it felt like hope for the future. Our incoming Grand Master has charged everyone with an individual responsibility to SPEAK UP about freemasonry outside of the lodge room. He believes it can be done and looking at the faces over the weekend at various events I believe brethren believe it can be done- it just needs a kick start! It probably needs you ! As Charity Administrator I am exposed to a lot of negatives and I consider it part of my role to make sure the positives outweigh them. With the greatest of respect to all I think we focus way too much on what we don’t have/have lost and not on what we have- a solid group who work very hard for the Craft wanting freemasonry in New Zealand to prosper and continue strongly into the future. Together we can do this - , that thought makes me proud. Proud to show our PRIDE in being a Freemason! Here's a true story about a farmer in Taihape during the 2nd World War. Can you relate to this? 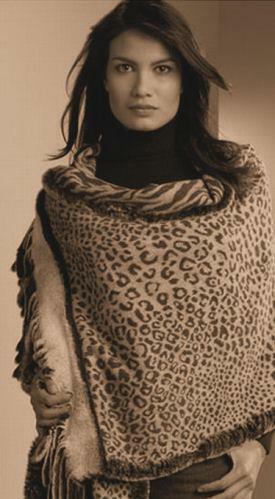 She looked at him strangely, but got the shawl. He thanked her and left the house. She was not only puzzled, she was suspicious. Several evenings during the last couple of months, he had left after dinner without any explanation. He hadn’t stayed away long, and when he returned he had a strange air about him. He seemed to have an inner peace. He said nothing; neither did she. About a week after this latest incident Mary was shopping in Taihape when she saw her shawl again. She was shocked. It was on the shoulders of a beautiful young lady. Angrily Mary followed the girl to a shabby house on the outskirts of the rual town. After the girl had entered, Mary knocked on the door. The girl opened it and smiled when she saw her visitor. She held the door open and Mary stomped in. As she looked around she saw an elderly lady propped up on a single bed. The lady smiled and said “How nice of you to visit us.” Mary was stunned. She didn’t really know what to say, so she just looked from the elderly lady to the girl. The girl asked if she could fix her a cup of tea. Mary nodded and the girl turned to put a kettle on the stove. While the water was heating Mary sat in a chair beside the elderly lady. I don’t know exactly what to say, so I will tell you the truth,” she said. “I saw my shawl on your daughter and I was furious. Last week my husband asked me for it, but didn’t tell me why. I’m sure now that he did not have an ulterior motive, but I still don’t understand how you have it." The girl and her mother looked at each other. Then the mother said: “We have no idea who left it. We have no idea who has been doing some nice things for us for the past several months. Perhaps now we can solve the mystery. It started soon after my husband died. We had no money and I am unable to work. And Nancy couldn’t find a job. We were desperate. We had no food and no fuel. Then one morning when Nancy opened the door she found several packages of food, clothing and coal on the doorstep. You have no idea what that meant to us. 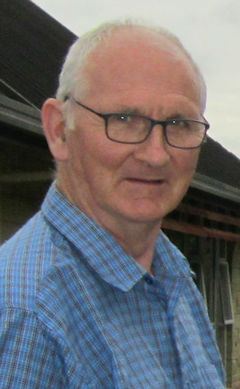 Mary’s husband and the members of the little Lodge in Taihape, plucked off their shoes to help those in need. Should we do anything less? One of the values I admire about being a Freemason is the strong sense of "family". This 'sense' sits well with the overall principles of Freemasonry - and the concept that "we", as an individual, is the greatest gift we can give to other people. The world has become such a ratrace that people often don't have the time to give of themselves as they once did. 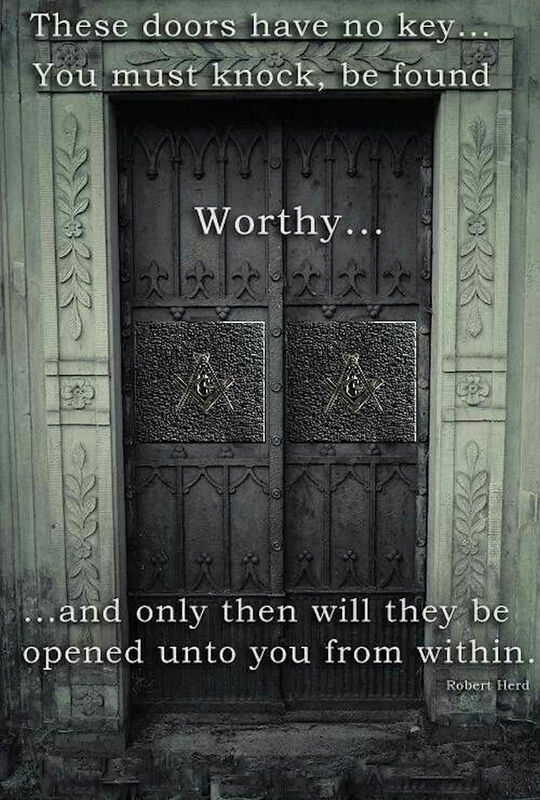 As Masons we should strive to hold on to this great virtue. It was said so well in this year's Sainsbury's Christmas Message. Click on the picture below to view the video. Speak Up about Freemasonry NOW!